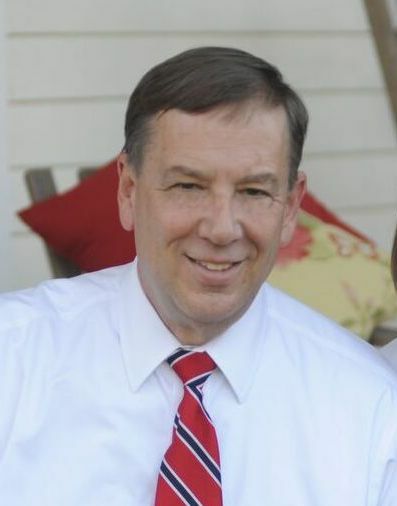 Running against Jeremy Durham on the Republican side, Sam Whitson said he wants to focus on roads and education if elected to the 65th House District seat. Running against Jeremy Durham on the Republican side, Franklin’s Sam Whitson said he wants to focus on roads and education if elected to the 65th House District seat. Whitson has also served in the U.S. Army and has degrees from Middle Tennessee State University and the University of Oklahoma. His name will appear alongside Durham’s on the Aug. 4 primary ballot. The winner of that race will face Democrat Holly McCall in November. Our inadequate roads are costing our citizens time with their families and our economy jobs. I want Tennessee to stay a pay-as-you-go state, but Spring Hill, Fairview and Franklin needs a state representative who is a respected member of the Republican caucus and who has the ability to work responsibly with the administration and fellow legislators to find a cost-effective solution. This problem will not go away but will only get worse. A: Something must be done to correct the BEP formula to account for rapid growing school districts. Williamson County Schools have at times not received their fair share of state funding. A school system should not be disadvantaged from a funding perspective based on high performance or the economic success of the county. One of my top priorities will be to ensure our schools receive their fair share of funding and that they are rewarded, not punished, for their success. The most important work done by the legislature is to ensure our economy is strong by keeping taxes low and regulations light so that jobs can be created by the private sector. Equally important is solving our inadequate road system and continuing to make public education a priority by giving students and teachers the resources they need to succeed. A strong economy, good roads and great schools provide the solid foundation that will allow us to address the other issues listed above. I want this to be settled at the local school level. We have great teachers and school administrators who care for the safety and wellbeing of every student. I want to keep politicians and judges out of the classroom. Now that the president is involved, it has become political while the ACLU has moved to make it a judicial issue. I was glad to learn our AG recently pushed back at the Federal government to allow our state and local school systems to address this issue. Any change in the UGB should be done deliberately and in full consideration of costs of services to taxpayers and property owners. Recent changes in the law has created confusion, especially for those cities experiencing rapid growth and development. Forced annexation is an issue of concern to property owners, especially if the municipality fails to implement the promised Plans of Services. The legislature overturned affordable housing set asides at the municipal level. Do you think affordable housing is an issue and if so how should it be addressed? Affordable housing is an issue in our county that must be addressed. Too many of our city and county employees and others who work in the county can’t afford to live here. I believe the public and private sector should work together to come up with solutions that will benefit all parties. While efforts to require certain standards by law are well intended, as a free market Republican, I don’t believe that government mandates will ultimately give us the solution we need. Do you believe the state should enact its own legislation to discourage the presence of illegal immigrants and what kind of measures should those be? Unless we build a wall around Tennessee, the illegal immigration issue must first be corrected at the federal level. Tennessee certainly has the right to protect itself against any threats and to take a stand on issues that the federal government may not be adequately addressing. We need to balance compassion for those who are in need with being responsible and ensuring our citizens are protected. When, if ever, would Tennessee need a full-time legislature? Only if it would result in widening US 31 south to Spring Hill, building a new interchange on I-65 near Spring Hill, improving Highway 100 through Fairview and completing Mack Hatcher in Franklin. I support the legislation recently sponsored by Rep. Charles Sargent and signed by Gov. Bill Haslam that will have the Hall tax eliminated entirely by 2022. This will allow our cities and county to prepare and plan for the lost revenue and make adjustments in their budgets accordingly. Do you think the legislature will be ready at the beginning of the session to do with the Medicaid expansion question in light of the Insure Tennessee summer study and the comprehensive task force. What is your position on the expansion? I think the legislature will be ready in January for a thoughtful and thorough discussion of potential options for addressing those who are uninsured in Tennessee. It is critical that we find a way to provide coverage for more people in our state as this will ensure a healthier and more prosperous state and will further enhance our efforts in economic development. However, the best solution is a market-based approach that will include more patient accountability and not a government mandate that brings us more of the problems that we have seen with Obamacare. Also, there was no guarantee the current administration in Washington would have even accepted and approved Insure Tennessee as originally proposed. I believe a Republican administration and Congress in 2017 will ensure the federal government will actually work with our state to provided sustainable and affordable health care for all working Tennesseans.